Today is Cian’s first day of kindergarten. For the first time in ten and a half years, I am alone, left to my own devices, free to use these morning hours for all of the writing work (two books! already started!) I’ve been waiting to do, waiting to concentrate on, waiting to finish, for most of the working day. It’s a whole new world out here, you guys, and boy, is it quiet. 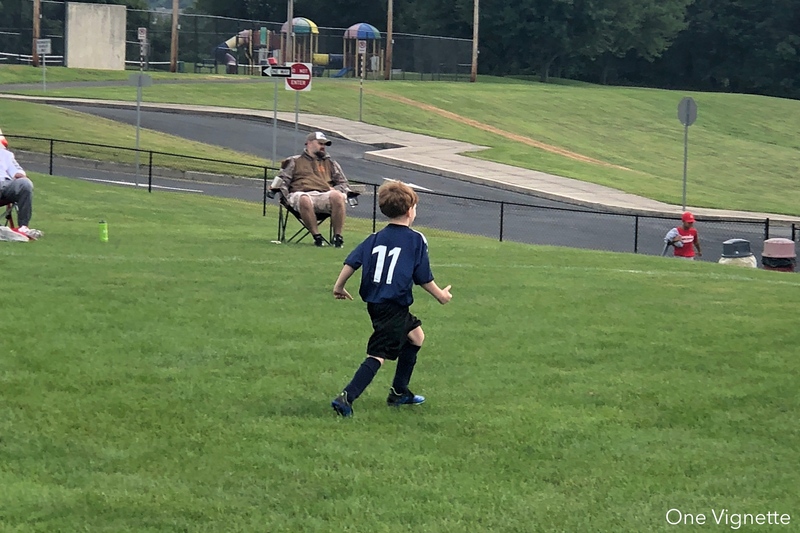 But, dear reader, this post isn’t about Cian–he was so ready to go, and that kind of happy knowledge overshadows the fact that his goodbye wave at school was more of a “please leave because I have very, very important things to do” shrug. 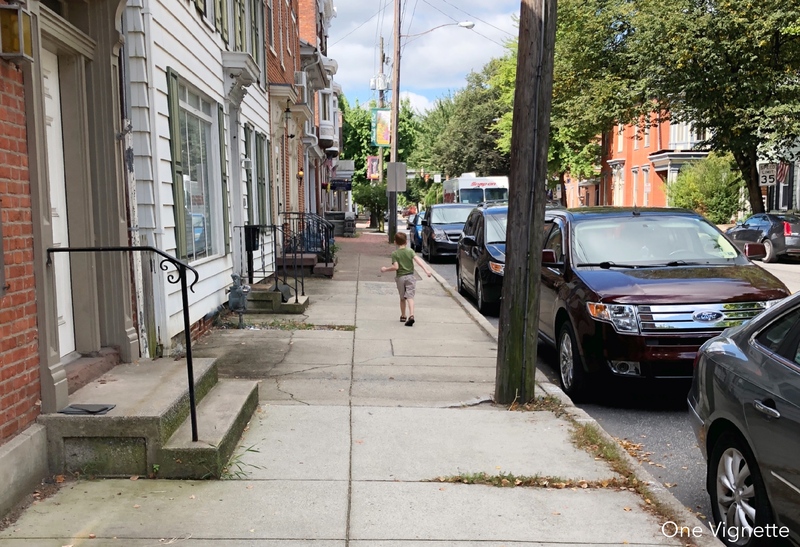 It’s not about me, either, who’s feeling pretty darned proud of herself for not collapsing into a big snotty puddle of sobs the instant he turned away from us. This post? 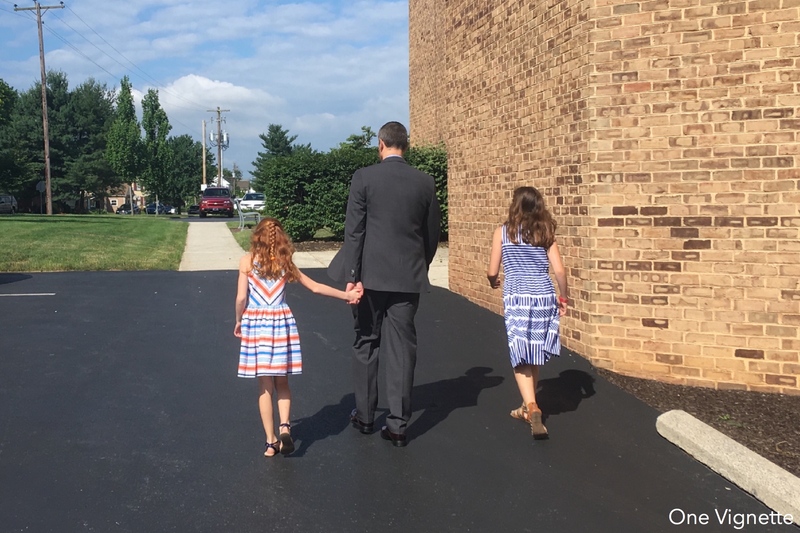 See, here’s the thing about my husband: he carries the financial weight of our family on his back, and does so with so much grace it’s easy to forget the kind of pressure that brings. Many of you know the story: how nine years ago, with Saoirse about ten months old, I walked out of the English building of a local college, fresh from my new instructor orientation meeting with the department head, got into my little red Jetta, and started sobbing the instant I called David to tell him how it went. I surprised the both of us. I don’t want to do it, I said. Tears were everywhere. It was gross. I’m not ready to leave her, I wept. I drove home, crying like my world was ending, and heard David say it was okay, I didn’t have to take the job, it was all right, we would make it work. It would be the first of a number of times since then he’s lifted that weight onto his own back to clear the way for my dreams. I stayed at home with our children for ten years. I took them to Music Together and swim classes, to MyGym and library story times. We went to playdates and hosted playdates, and to the pool every summer. I’ve sat in the sun in more playgrounds at nine a.m. more times than I can count. 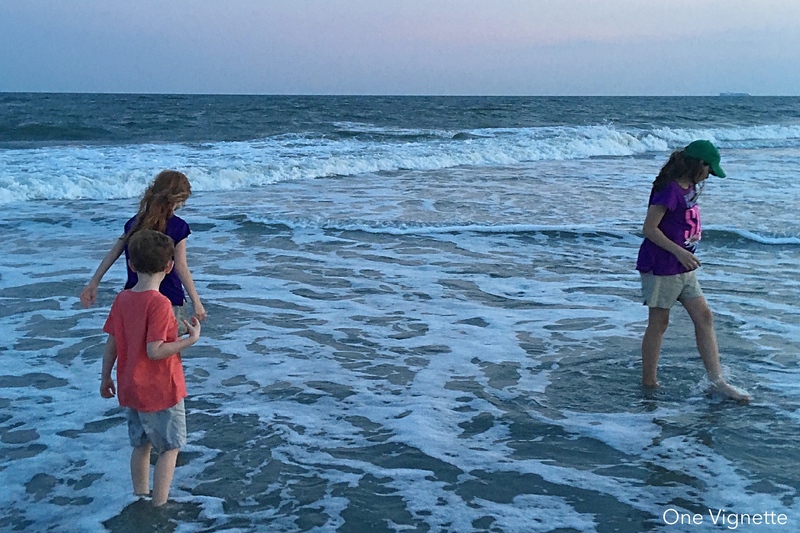 In the beginning, I fought a sort of identity crisis–one that prompted the beginning of this blog, really–in which I desperately wanted to be home with my kids, but just as much felt like I was losing a bit of myself in the process. David saw this, and said: do it. Write. He encouraged me to open my computer, put those words out here in the world, and keep writing. So the blog was born. And it became a way to tap into myself and reach out to other people, safely under the bubble that David worked so hard to keep inflated around us. It wasn’t easy. We struggled, a lot. 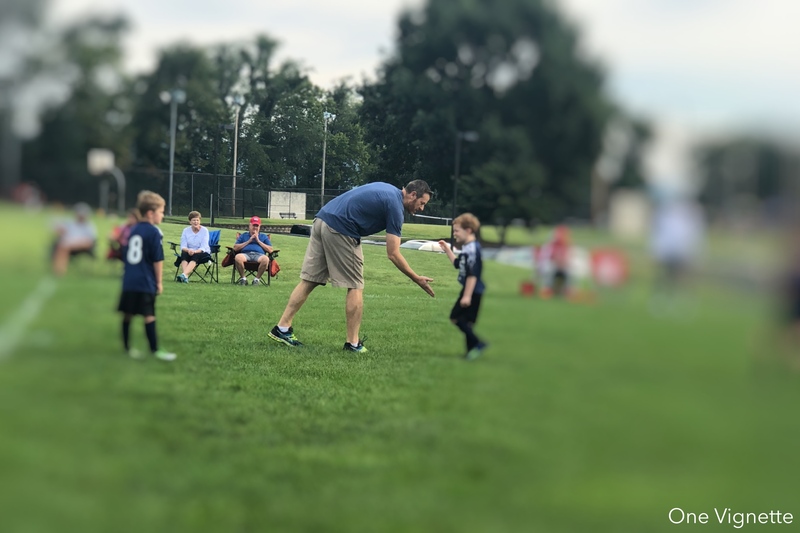 But David worked–hard–and so often kept that pressure hidden from me that the times it grew to be too much for him, I was taken aback: you mean it’s hard? I’d think. But you get to go on trips and out to lunch and visit places I’ve never been, I’d say. I’m sitting here drowning in spit-up and old diapers and cleaning up spaghetti off the floor every single day of my tiny little life while you’re LIVING, I’d say. He’d shake his head. This was your choice, he’d remind me. But also: Look at what we’re doing together. Look at what we’ve built. He’d look at the children, then I’d look at the children, and right about then one of the them would puke all over her shoes and the argument would be tabled for another day. I never admit that he is right. But he was kind of right. He watched while I wrote my first book, read it approximately fifty times, and still brags about me when he thinks I’m not listening. He watched as I wrote the second, and hugged me for a very long time after I found out the publishers turned it down. He told me, don’t give up. Give it three books, or four, or five. But you can do this. And all the while, he works. All the while, our house and groceries and tuition bills and clothing and family adventures are carried on his back alone. 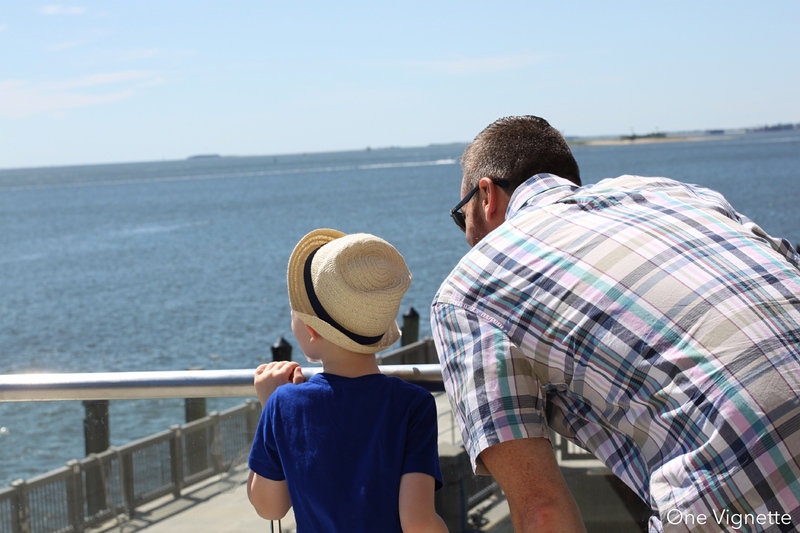 Today is my youngest child’s first day of kindergarten, but this post isn’t about him. It’s about David, who paces outside on a conference call while I’m here, in a coffee shop, writing these words. He held my hand after we dropped off the kids, asked me if I’d like to go for a breakfast date, and came with me here afterward to work. He keeps watching me for tears, but so far there haven’t been many. He carries the weight, and I’m writing. I began researching college teaching jobs this summer. I’m anxious to bring in a regular paycheck again, to be out in the world, to brush the dust off my high heels and use a part of my brain that hasn’t been accessed in a decade. These things will happen, yes, if I succeed at writing, but I’m an impatient sort. But when David heard I was looking, he said, wait a minute, no. I got this. We can make it work. You need to write. He shoulders the weight, and he sets me free. It hasn’t always been easy. But he is brave: he leaps at new opportunities, he takes charge when he’s in these new roles, and in doing so he paves a path for not only his career but for mine, as well. I got to be a mom and a writer because of him. I get to be a writer because of him. Yes, I know I could still do it if I were working out in the world full-time, I know this, and I know many people who do it successfully. But I wouldn’t. I’d focus on the day job and the kids and the laundry and the writing would slip away like a really good dream from which I woke too early. David says that he started chasing his worth when he met me, that I was good for him. I think he has it the other way around. After we had our 3rd baby I stayed home. We had no family near-by and now we were outnumbered 🙂 My husband was just a couple of years into his dream job and honestly, he was making way more money and always will just because of the nature of his job. I felt exactly as you did, my world got small. I was TOTALLY jealous that my husband got to dress up, drive to work while listening to big people music, eat lunch out, and just engage with the big wide world. I also know he felt a tremendous pressure to provide. He always told me we are a team and he would not be able to do what he does without me doing what I do. And he has also set me free – our youngest started school last year. I have all day to pursue my dream which is, like you, to write. Unlike you, I make everything and everyone else a priority…so guess what isn’t getting done?! I realize I’m very fortunate to have the time and lack of financial pressure and if I never publish a thing, that’s on my shoulders.